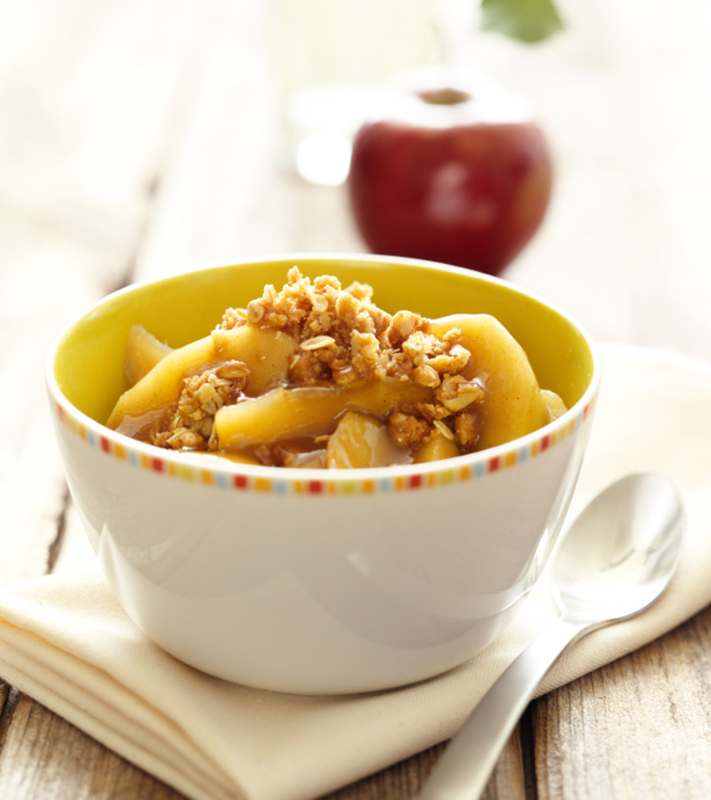 Butter a 1 ½ quart baking dish, spread the apples in it, and sprinkle 1/3 cup water on top. Combine the flour, sugar, cinnamon, and salt in a bowl, rub in the butter with your fingers until it resembles coarse crumbs. Spread evenly over the apples. Bake for about 30 minutes at 350 degrees or until the crust is browned.